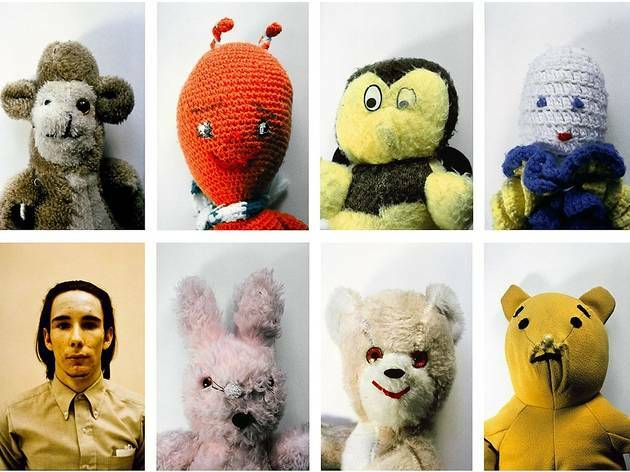 Courtesy: Mike Kelley Foundation for the Arts ﻿Mike Kelley, "Ah...Youth! ", 1991, set of 8 Cibachrome photographs, 24 by 20 in. each; one at 24 x 18 in. This retrospective of Mike Kelley's works is the largest exhibition of his wide range of works to date, and upon entering the Geffen Contemporary, you'll feel it. Videos flash, sculptures glow, and stuffed animals stare. Wander through the huge space and into Kelley's series: his cartoons, his Kandor sculptures, his hallway installation Pay For Your Pleasure. There really wasn't a medium Kelley didn't work with—from installation and performance to murals and drawings. It's best to just let yourself be overwhelmed by this hometown hero's work.